According to the 1883 History of Marion, the combined jail and Sheriff’s residence was erected in 1878 and cost about $28,000. There were eighteen cells total, sixteen for men and two for women. This photo, dated 1910, is from Mike Crane’s excellent collection of old Marion photos and postcards. By the time the paper went to press, a mere two hours after the murder, a lynch mob was already forming outside the jail. 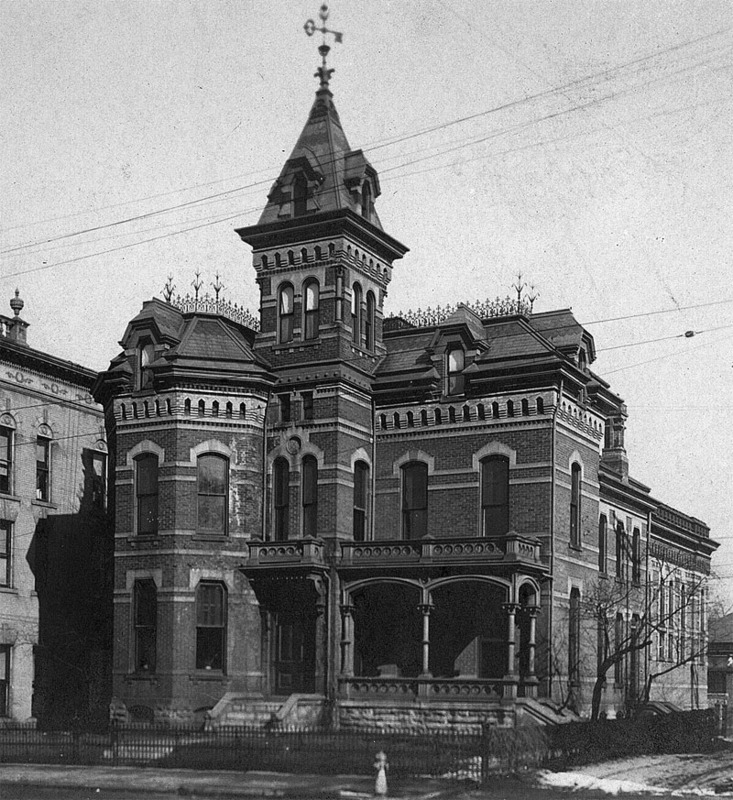 Unlike the old Marion City Jail, the Marion County Jail, which stood on North State Street from 1878 until 1968, doesn’t have any supernatural stories associated with it. However, it played a role in a violent series of events that took place in Marion in October of 1881. On the afternoon of October 4th, 1881, Frank Foster, a well-known and well-liked livery man, stepped into Tim Kelley’s grocery store to buy some tobacco. 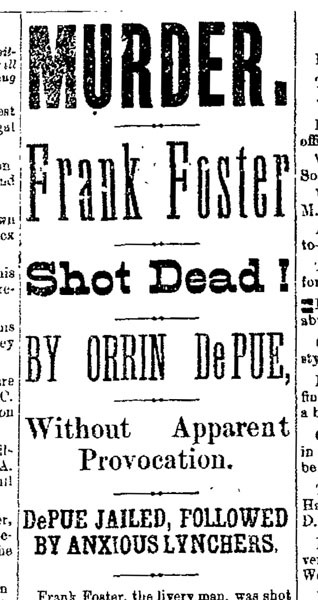 As he was paying, a man named Orrin DePue walked up behind him and, without saying a word, shot him 4 times with a .32 caliber revolver. Foster died almost immediately. 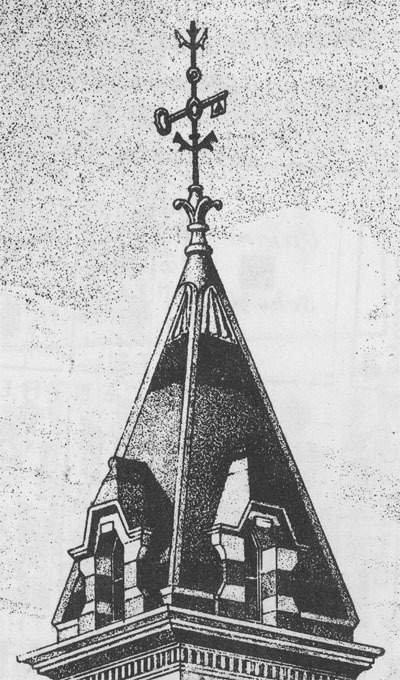 Shortly before the jail was demolished, an article appearing in The Marion Star stated, “Commissioners plan to preserve the key which, long eyed by antique dealers, is said to be a fine representation of 19th Century iron work.” According to Randy Winland’s book on Marion postcards, the turnkey is currently on display at the Marion County Historical Society. The following night, on October 5th, DePue hanged himself in his jail cell using a bed sheet. The Marion Daily Star suggested that DePue had probably saved the county a great expense and that most everyone was satisfied with this outcome. In 1968, a new county jail was completed north of town, and the old county jail, which was already falling apart, was demolished. Today a small, unremarkable office building is located at the former site of the once imposing jail. When I was a kid and we were driving downtown, my mother would always tell me, “Look for the key!” Too bad that beautiful building was razed.